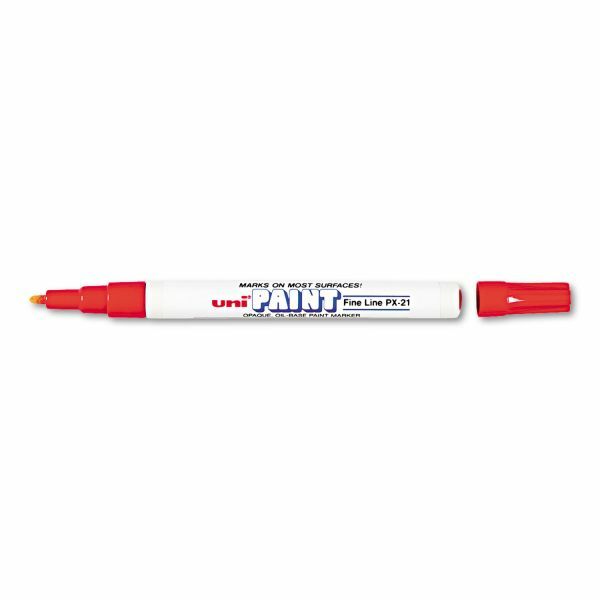 Sanford uni-Paint Permanent Marker, Fine Bullet Tip, Red - Vibrant, oil-based, opaque paint markers mark opaque and glossy on light or dark surfaces with a fine point. Marks dry opaquely on glass, wood, ceramics, china, leather, cement and practically any other surface. 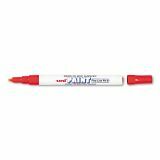 Paint marker ink is acid-free, fade-resistant, water-resistant and abrasion-resistant.